It looks like the store is in need of a little love! The T-shirts are nice, and offer plenty of color options. I have bought two from spread shirt (I also have one sent from Chad Thanks Chad, and the HK YCFTP shirt), now I just need to pick up the hoodie for this winter. But we need a lot more than just shirts! I cant wait until the stickers become available, the few I had (thanks again to Chad) all have homes now, and I just don't see the point in building anything else until the proper decals are available, to make them "Fliterite". I thought maybe a few suggestions as to what kind of Flitetest merchandise you guys would like to see in the store, would help the team make a more informed decision when the time comes to expand that area of the site. Right off the top of my head comes a Flitetest neckstrap (of Awesomeness of course), field chairs, and maybe even a windsock. So lets get some ideas in here so that the swag might someday be available. Sell? Auction! They could sponsor HobbyKing if they did that LOL! Well, I would like stickers available with cheap international shipping! Agreed, I'd like to have some FT stickers aswell! I like the neck strap idea, and maybe some t-shirts with a plane doing a hover or knife edge. 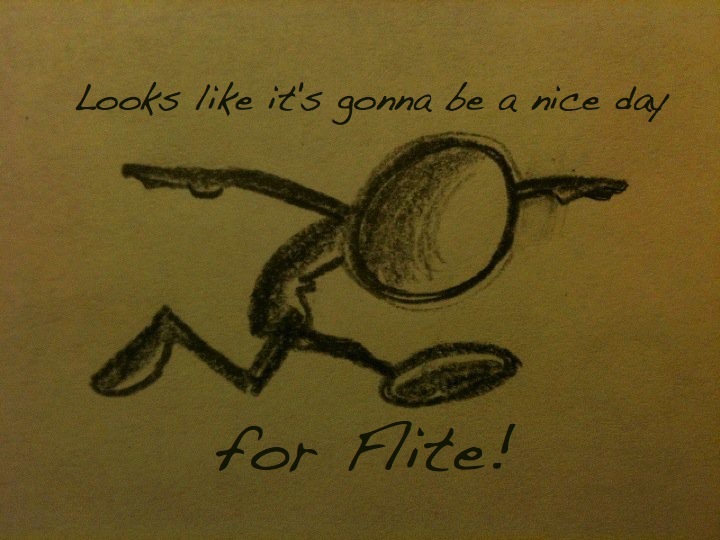 Id also like to see one with the flite test avatar colored like heli-yeah's avatar. I'm waiting on delivery of my FT T-Shirt and Hoodie, would buy a wind sock! Stickers too! What about a FliteTest crash kit? produce some FT tool cases with $30-$40 worth of essential repair stuff in it, wrap it and sell it. That would be a lot of work! Yep it would, and the FT crew wouldn´t need work anymore for their daily jobs and could just sell that and be rich! After seeing the pics from PTRogers85 of the JR E-Fest. I'd say FT Lipo-Safe bags should definitely be on the list! Yeah they so definitley should! There's a lot of stuff you can just buy and put a FT sticker of awesomeness on! If you can get your hands on the Stickers! I see a hat in the "flitetest gear" window, in the left hand column of the articles page. But it is not advertised in the store? Just have them made for you. Shouldn't be too expensive. On the subject of having Flitetest merchandise made, I have been toying with one of Chads designs, and a phrase from Josh S. that I personally think would make a good shirt, sticker, etc. If Chad would not mind, I may have one made up for myself. OK, here I would use the Thumbs Up button. Feel free to make whatever you like. Flite Test is "open source"
Sorry if I missed this elsewhere, is there somewhere where I can download some files (vector/png) to make up some stickers, there's no international shipping as yet?